AllPro Towncar Limo is your one-stop transportation service in the Tampa Fl, and Clearwater area. Whether you need a single ride or are planning an elaborate event, AllPro Towncar makes transportation easy. Looking for the best car service? Look no further. 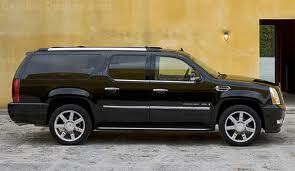 Allpro Limousine Service Clearwater is the best option. We are a top of the line car service that offers excellent town car, SUVs, party buses, and limousine services for Tampa and Clearwater FL. AllPro Towncar is equipped with years of experience and expertise in the car service industry, and we set new standards of excellence and flexibility when it comes to car services. We are offering full-service transportation to vacationers and guests, and we guarantee 100% customer satisfaction. Choose from a wide range of vehicle selections, from SUVs to limousines and party buses – we can ensure you that you are receiving the best possible car transport service giving you a safe and comfortable trip from your original location to your next destination. At AllPro Towncar, we pride ourselves on providing a wide range of quality transportation services. We are more than just a transportation service company; we can help make a special occasion a memorable one. And as the leading transportation provider in Clearwater FL and Tampa Area, we have a diverse fleet of vehicles. With our flexibility and professionalism, we are confident enough that we will be able to meet and even exceed your expectations toward our company. Enjoy safe and comfortable transportation to and from your destination. Our company is reliable and dependable, and all our drivers are professional and certified with driving experience.